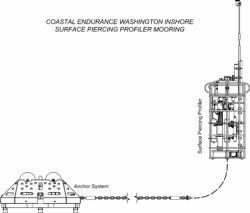 The Coastal Endurance Washington Inshore Surface Piercing Profiler Mooring is located on the inner Continental Shelf, approximately 29 meters deep. The Continental Shelf-Slope area off the Washington coast is a highly productive, dynamic upwelling environment. Upwelling brings nutrients to the surface sparking primary production and fueling the food web. In recent years, upwelling has also brought onto the shelf hypoxic, low oxygen, waters that can be harmful to organisms in the area. By sampling in this area, the OOI seeks to gain better insight into upwelling dynamics of this system. 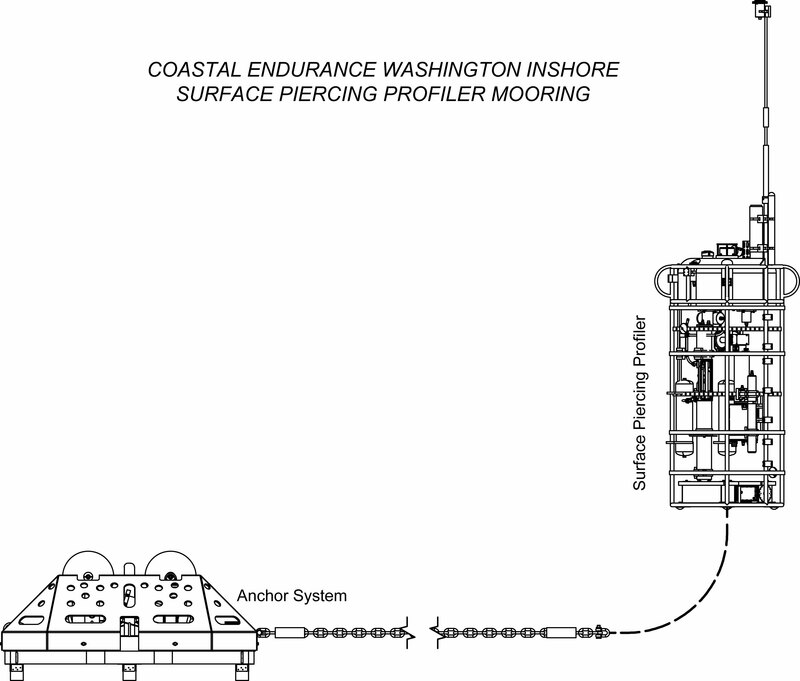 Like other Surface Piercing Profiler Moorings, this mooring contains a Surface-Piercing Profiler that allows for the sampling of near surface phenomena as the Profiler travels through the water then breaches the surface. Fine resolution sampling of the water column, particularly at the very surface of the water, provides key insights into the exchange of gases, heat, etc. between the atmosphere and the ocean. While on the surface, the profiler transmits data to shore.